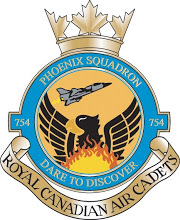 As a replacement for the winter activity challenge, the squadron will going bouldering on 28 April 2018. Sign ups can be found here. A waiver must be completed by parents here. Spring/Summer Gliding sign up can be found here. In order to pass your level, all level ones must attend an air rifle handling test. Sign-ups can be found here. Spring Fam Flying sign up can be found here. Completion of some Cadet Training Levels, specialty summer courses, and Duke of Edinburgh awards are eligible for grade 10, 11, and 12 Secondary School Course credits. Complete application form found here and submit to squadron Administration Officer, Lt Chiu. NOTE: if there are discrepancies, the squadron calendar will be regarded as accurate.